June 2, 2017 — Hughes Hubbard represented DNB Bank ASA (DNB) as a prepetition lender and debtor-in-possession (DIP) lender in connection with the Chapter 11 bankruptcy of GulfMark Offshore Inc. (GulfMark). By providing DIP financing to the struggling company, DNB was able to preserve its existing collateral, gain further collateral and limit the offshore operator's bankruptcy to a "HoldCo Only" filing, significantly simplifying the transaction and corresponding risk to its existing extended loans. The Houston-based offshore service vessel operator filed for Chapter 11 protection on May 17, supported by DNB as its DIP lender. With its first-day motions, GulfMark included a request to enter into a $35 million financing arrangement to support its operations during the bankruptcy process. U.S. Bankruptcy Judge Kevin Gross approved the DIP financing arrangement on an interim basis on May 18 in Delaware. A hearing is scheduled for June 16 to obtain final relief. 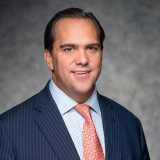 In what Judge Gross agreed was an "unusual" approach when signing the DIP order, DNB is providing up to $35 million of post-petition funding to GulfMark Rederi AS (Rederi), a Norweigian non-debtor subsidiary, through an amendment and restatement of an existing secured multicurrency credit facility already drawn down to $45 million. In turn, Rederi is on-lending the funds to its parent debtor through an intercompany loan under a DIP intercompany facility. The Hughes Hubbard team proposed and implemented the innovative lending structure to afford maximum protections to DNB. 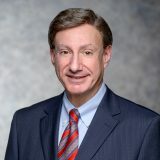 In addition to providing DNB the benefits of a DIP lender via the assignment of Rederi's DIP rights and keeping DNB's direct borrower out of bankruptcy, the negotiated structure provides for DNB to install an independent director at its borrower to increase Rederi's remoteness from bankruptcy. The structure was also tax efficient for the debtor, making DNB's DIP proposal among the most cost-effective for the debtor while also providing DNB a good return on its risk. GulfMark sought Chapter 11 protection after two consecutive years of negative cash flows from operations that grew too expensive to maintain. The bankruptcy filing enables GulfMark to complete a restructuring deal that calls for bondholders to forgive approximately $435 million in debt in exchange for 35.65 percent of the equity in a reorganized GulfMark. Weil Gotshal & Manges LLP represents the company, with Evercore serving as investment banker and Alvarez & Marsal serving as financial advisor. Milbank Tweed Hadley & McCloy LLP represents the noteholders, with Houlihan Lokey serving as financial advisor. The Royal Bank of Scotland (RBS), GulfMark's other secured pre-petition lender, is represented by Sullivan & Cromwell LLP, with FTI as its financial advisor. DNB is a leading lender to shipping and offshore oilfield services companies. The firm will continue to assist DNB through the Chapter 11 case, including with respect to potential further subsidiary filings if the RBS-borrowers cannot reach an accord with RBS, the confirmation of GulfMark's plan of reorganization over the summer, and DNB potentially providing exit financing to GulfMark. 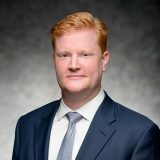 In addition to Frelinghuysen, Chris Kiplok and Erin Diers negotiated with the company in the weeks prior to bankruptcy and provided other bankruptcy advice with research support from Andrew Bouriat. Steve Greene, Celeste Pozo, Shams Billah, Brandon Gershowitz, Shaun Haines and Erica Aghedo negotiated credit terms and prepared the definitive documents for both the Rederi loan facility and the DIP intercompany loan facility. 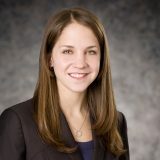 Shane Stroud provided employment advice and Jaime Steinfink provided professional retention advice. The firm worked closely with Ince & Co. as DNB's U.K. local counsel, Advokatfirmaet Thommessen AS as DNB's Norway local counsel and Guggenheim Securities as DNB's financial advisor.